5 Reel, non-progressive Reel Power series with 243 opportunities of winning! Also featuring Wild and Scatter symbols plus Free Spin Bonus rounds. 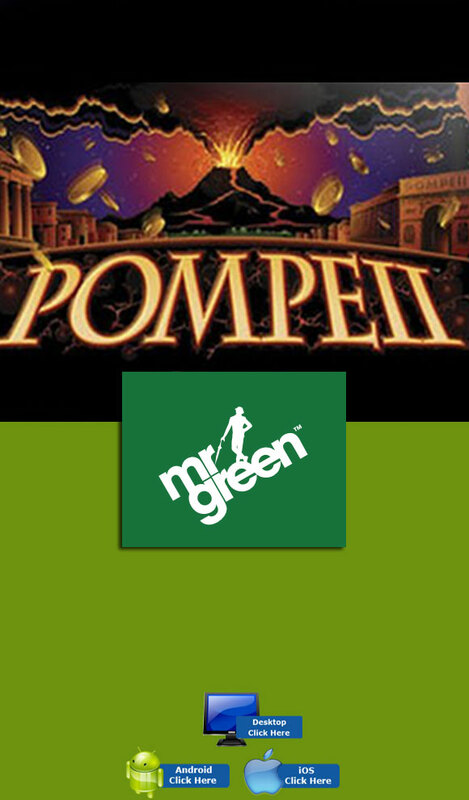 The game is based on the ancient Roman city of Pompeii which was destroyed in AD 79 by the eruption of the volcano on the Mount Vesuvius. 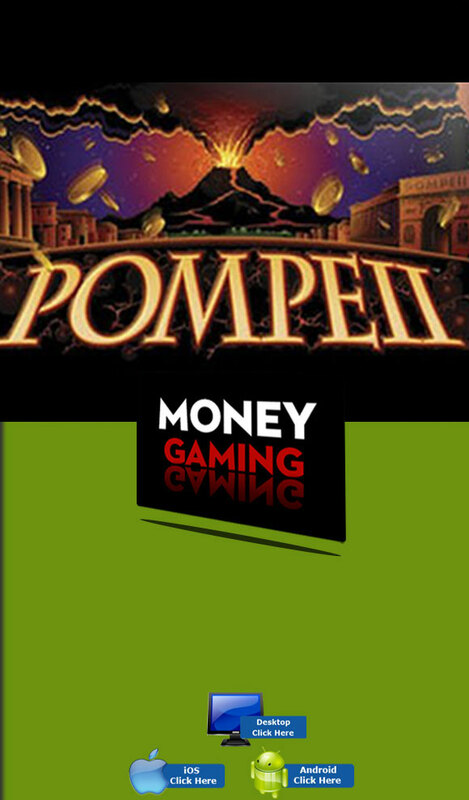 The entire city of Pompeii was wiped out by molten lava, in this game players hunt for Treasures buried under the lava. Julius Caesar's famous "I came, I saw, I conquered" is etched on the coin symbols. With each big win the screen starts shaking powerfully as if the volcano was erupting. Coin values range from 0.02 up to 1.00 in total. 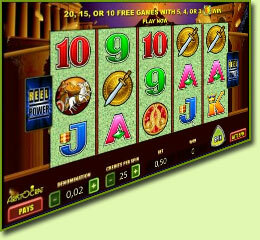 Bets start from 25 to 125 coins per spin. The Jackpot is worth 12 500 coins! The Volcano replaces all symbols besides the Scatter to form winning combinations. The Wild triggers a 3x multiplier when showing up on the 2nd reel or a 5x multiplier on the 4th reel. Should 2 Wilds show up simultaneously on reels 2 and 4, the multiplier becomes 15x. 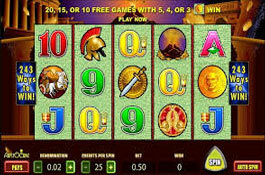 3, 4 and 5 Gold Coins award 10, 15 and 20 Free Spins respectively. The Free Spins and Bonus rounds can be re-triggered. 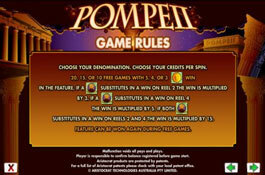 This game also allows the Wild Volcano to substitute for Scatter symbols during the Free Spins bonus rounds! 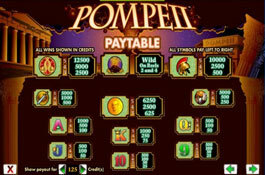 Pompeii slot is a very entertaining and interesting slot, having paid out massive wins over the years. 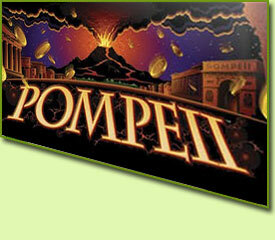 Players who are interested in history and legendary cities will find Pompeii very stimulating.